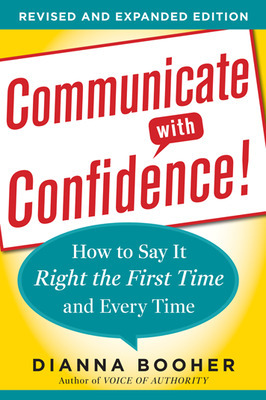 Guest post by Dianna Booher, author of Communicate with Confidence. Ask lawyers, engineers, or systems analysts which creates the most frustration and failurethe technical part of their job or dealing with people? They’ll agree on the latter. Communication is the basic business act. So how do you measure your success on that score? Consider the response you get. Are you having the desired effect on people? In other words, are you making them think, feel, or do something you want? What seems to be their impression of you? Do others try to dominate you, control you, or just ignore you? How easily do you connect with others online using Twitter or LinkedIn groups? Can you work effectively in groups? Does your team accomplish its goals with a minimum of clashes? Do you weigh others words and understand and evaluate their messages appropriately? Do you always feel that others give your ideas a fair hearing? Failure to communicate is the frustration of modern management, the dating scene, and the family dinner table. Over time, all human relationships depend on the sum total of these interactions stacked end to end. World leaders create a crisis or alter world events as they and their supporters posture and persuade through their social media posts. Their communication skills and personal presence can end a meeting or start a movement with an apt phrase or an inappropriate shrug. The workplace is no different. According to the latest crop of CEO surveys (from IBM, PriceWaterhouseCoopers, Wyatt Watson), communication skills once again fall in the top three slots of most critical skills for leaders. The American Management Association also surveyed more than 2,000 senior managers in 2010 as part of their Critical Skills Survey. Respondents predicted that communication skills would be the top employee development priority for the immediate future, cited by 41 percent of the managers surveyed. Establish your credibility and expertise in a larger context and be accountable to more people for results. That is, you cant just focus on welding a widget or marketing a mango and go home. You have to understand why that widget or mango meets the customers needs and continually come up with ways to produce it better, faster, and cheaperor the organization will be looking for somebody who can keep the big picture in mind. Wherever you work and whatever you do, you have to be able to gather information, analyze it, summarize it, and present it so that others can digest it and use it for decision making. Whats the payoff for better communication? Productivity and profitability. At some point in their careers, nearly every successful professional either realizes better communication skills can increase their ability to lead more effectively. Or, they understand that poor communication habits are limiting their influence and results. Ive never had anyone tell me they couldnt improve their communication. Like fitness, better communication becomes an ongoing process. Communication either cements or destroys personal and work relationships. To improve communication skills, habits, and attitudes dramatically changes lifefor an individual, a family, an organization, and a nation. I consider this an exciting and rewarding lifetime goal. How about you? 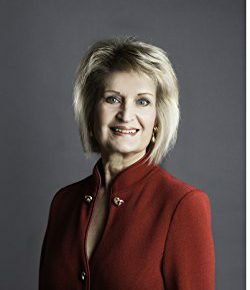 Dianna Booher, as CEO of Booher Research, works with organizations to communicate clearly and with leaders to expand their influence by a strong personal presence. Through her keynotes and coaching programs, she works with Fortune 500 organizations, nonprofits, and individuals to formulate their communication goals and publishing strategies. Learn more at www.booher.com. bookmarked, as I know that I will be coming back to it again and again.